People who go in the ocean or on big lakes in small craft should be more aware of the fact that things are in constant change out there, and sometimes not to our advantage, and that could mean big trouble. 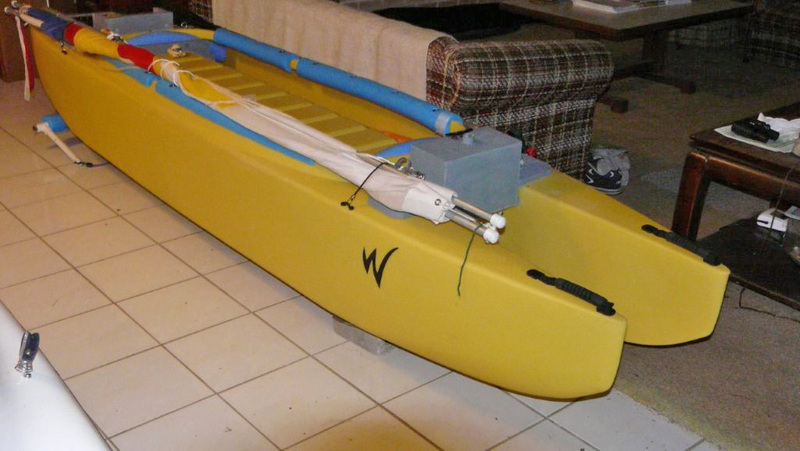 A kayak or canoe that relies solely on human power is under-powered by definition. You or others interested in sailing might want to check out the Radio Flyer wagon umbrella which has a stong clamp that can be clipped on anywhere along the W rim and adjusted in any direction. They’re not real big but 2 of them can be mounted side by side to give a nice boost for paddling. They may be a bit hard to find – not sure if they’re still being produced. I remember your experiments with umbrella sailing. That looked easy and it was fun to see! The advantage of a Lateen sailing rig such as Barefoot has on his W500 is that it offers you to sail upwind, and not just downwind.